A reader commented on the last instalment of this list that it shaped his whole season’s shopping. No pressure then. Many of the ranges will feature in other coverage later in the year – particularly the ones I’ve already bought myself. So they will be fleshed out and more things covered. That’s good, because it always feels hard highlighting just 10 things. Though I guess it’s clear these are just my favourites, however subjective and selective that might be. And I do try to state why, and how, they are my favourites, so you know what you’re disagreeing with if you do. The names of each piece are hyperlinked to the product page. Roll necks are one of the items that get me most excited in winter. They’re so flattering under tailoring, and so comfortable while looking well put-together. The current range from Private White is my favourite I’ve seen this season, for a few reasons. One is weight, as it’s a nice thickness for general wear, under a coat or on its own (though perhaps not under a jacket). A second is the cashmere, which doesn’t feel the softness at first, but wears in wonderfully. And a third is the design, with a trim fit and longer cuffs and hem. Oh, and given what Private White is doing right now with its pricing, it’s great value for money. In previous seasons it would have been £100 more. For those on a slightly more limited budget, the Mr P roll neck is also nicely executed and good value, in a solid merino. There are subtle fashioning points around the neckline, and the roll neck itself is a good length. Having tried a few pieces, I would also generally recommend the Mr P range of clothing, which aims to provide solid basics amid all the high-fashion now dominating Mr Porter. Although a lot of the designs are still more fashion-led than most Permanent Style readers will want, the quality and value are strong. This Gieves coat isn’t on their website yet, but is similar in style to the raincoat pictured above. The difference is that the outer layer is styled a little more like a field jacket, with a drawstring waist that gives it some better shape (and for me, suits the length more). There is a navy and a deep green, with a gilet that zips and can be worn separately. Very functional, nicely thought through. It does have the Gieves logo on the sleeve, but tone on tone. It continues to be odd that I’ve never written about SEH Kelly, despite how much I love what Paul and Sara do. I promise to correct that soon. SHE Kelly use great, heritage materials, very functional and hard wearing, and their designs are beautifully done. The reason I haven’t generally covered them is that most of the styles are too rugged for me. 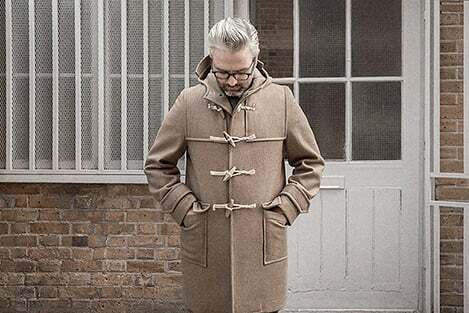 One exception is their duffle coat, which is a style I like wearing over casual tailoring. It uses a heavy melton cloth, large horn toggles and has a shoulder which is inset at the front, raglan at the back. Stock is often low, but it’s currently available in camel in small and medium, and navy in large. Three years ago I almost bought a suede Tremelo cap from Lock. When I tried to buy it later, it had sold out. So I made sure to get it early the following year. This winter, I got in early again and added a dark-brown goatskin to my tan suede (pictured top). If you can find one you like, it’s a nice piece that sits in the wardrobe between a beanie and a proper fedora. Heimat is a German manufacturer stocked by Trunk for the first time this season. In a similar way to North Sea Clothing, it makes traditional woollen pieces with a lot of the lanolin left in the yarn. 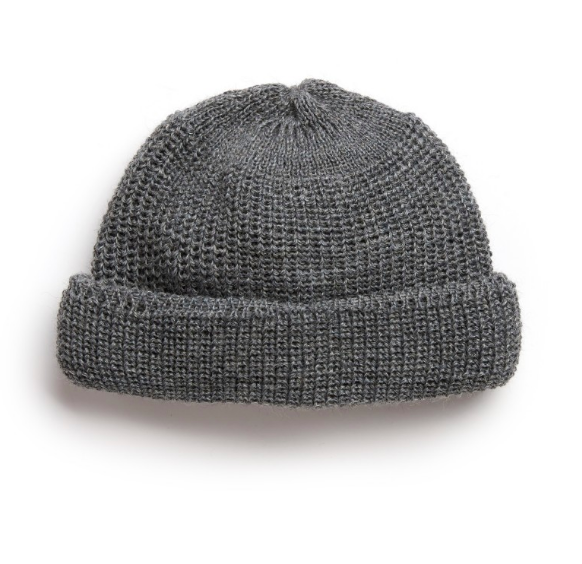 This makes it more waterproof, which is particularly useful in a beanie-style hat. The wool is thick and a little scratchy, so not everyone will find it comfortable, but I’m ok in it even with my lack of hair. It’s something I will wear in wet weather with casual outerwear like a leather jacket (not tailoring). I recently tried a few of The Armoury’s models of trouser, and these were my favourite: a collaboration with the Japanese trouser-maker Hayato Osaku, whom we visited in Japan a couple of years ago. 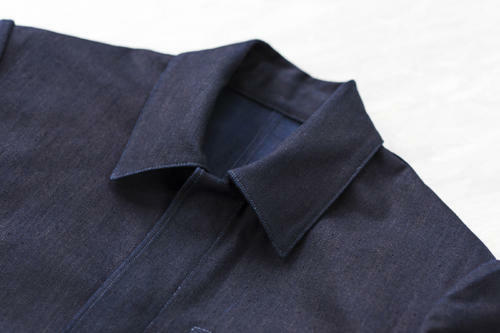 The material is a dry, sharp cotton, but has some slubbiness in the weave, which lends them a slightly casual air. The shape is slim without being too much, with a mid-rise and gently tapered leg. 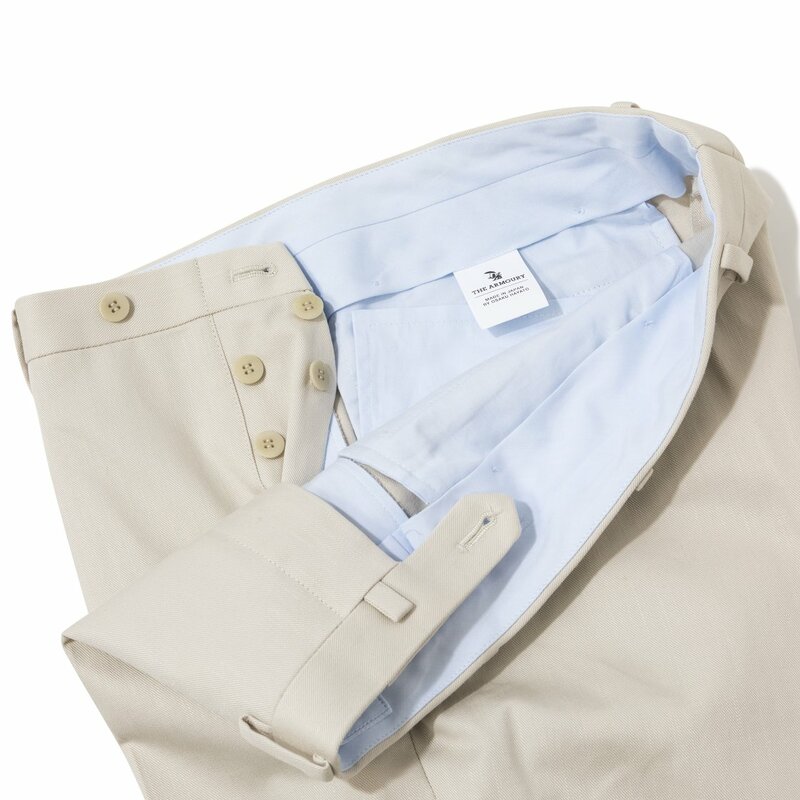 And the finishing is lovely – nearly all by machine, but neat and precise, and with good materials, such as the shirting used in the inside of the (thin) waistband. Crossing over into workwear, the chore coats that Blackhorse Lane offer are lovely, but get little attention compared to the jeans. Although there are fewer points of difference there, they’re still made with a cleanness of finish that you don’t normally see on workwear jackets. The style is simple and refined, which also makes it a little dressier – although this is still firmly something to wear with casual cotton trousers, and boots or canvas sneakers. Blackhorse manager Han wears his every day, and I admire the fade every time I see him. 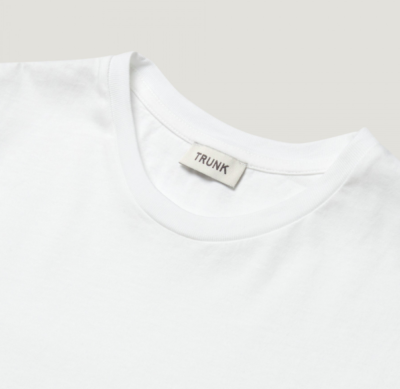 This is the first piece from Trunk’s own-brand line that I’ve really loved. It is a relatively slim cut, and has a shorter and neater sleeve than most, which is modern, flattering, and makes it easier to wear under other things. It’s also in a lovely silky cotton, which is impressive given the price. This piece demonstrates that there is no order to this list, given it’s one of my absolute favourite things I’ve bought in the past six months. The Sawtooth’s denim is very stiff to start with, but softens after a couple of washes and wears in better for it. It’s weight also means that it becomes really comfortable after an hour or so of wear, when it warms up to body temperature. Lovely and reassuring, in a similar way to loopwheel sweatshirts. The collar is low, which makes it not so great with tailoring, but it is a neat fit, which does make it good under other things, such as a shawl-collar sweater. Also designed to be tucked in, and therefore longer than any similar western shirt (such as my Niche one). You can follow the discussion on Our Autumn/Winter Top 10, 2018 by entering your email address in the box below. You will then receive an email every time a new comment is added. These will also contain a link to a page where you can stop the alerts, and remove all of your related data from the site. A good list – fair to say slightly more fashion led than previous years? On another note of sweaters – who to look to for Fair Isle jumpers? I think Jamieson’s of Shetland, stocked at End Clothing, may make the Drake’s ones. Even if not might be a shout for a wider selection, no personal experience though as fair isle’s aren’t my style. Andersons (Shetlandknitwear.com) is the place to go – it has a big selection. The prices are not cheap as you are paying for hand knitting. I have the Indie suede cap. I’ve never liked wearing caps or hats much, But this cap totally converted me. It’s a smaller diameter and less floppy than most caps of this style. Superb and not bad value for money, I thought. Slightly slimmer, denser fabric (not as spongey), slightly better quality hardware etc. Would you wear the SEH over tailoring, or would it be too slim fitting? How does the Mr P rollneck fit Simon compared to Smedley’ s slim/standard fit? The Tremelo lock and co cap is dark brown in color? I saw from website it is black. Alternatively, there’s a plain brown version. Simon, can I clarify what color of the cap is it in your picture? So what you added is the “brown” one on their website. Right? Any thoughts on Inis Meain’s efforts this winter? Very tempted by the 70% wool / 30% cashmere ‘boat builder’ and interested in how it might compare to the PWVC roll neck you mention above. Simon, though I should be grateful for London’s current unseasonably warm weather, this is making me look forward to wearing some cosy knitwear. 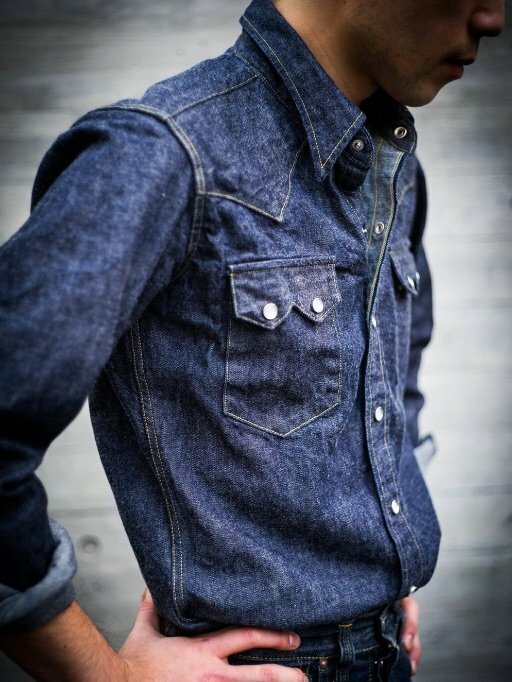 With the sawtooth denim shirt, how do you think it would fit into your finely tailored wardrobe? You mentioned a shawl cardigan, but what trousers would you pair it with? I assume you’d avoid the double-denim look from the picture. Not sure I can think of two fabrics that are a worse marriage than denim and flannel frankly speaking. 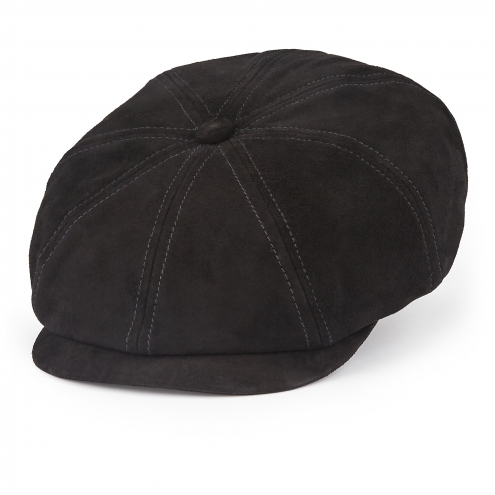 £155 is an awful lot of money for a baker boy cap, even in suede or goatskin. The Lock brand carries a huge premium. Lock’s tweed caps cost more than double those from other brands in St James’s. I paid around £35 to £60 for MTO caps from a maker in Yorkshire. It’s not even well-designed for the average dresser-upper and sartorialist (i.e. the intended captive market). It just screams cosplay. Men should only ever wear a flat cap. I know, I know. Fine line and so on. But aesthetes know a fine line when they see one. Agree there, mostly paying for the brand name and the heritage. I also sometimes have the same feeling with PW …I mean a roll neck sweater for 399 pounds …that is a bit much in my book and I don’t care what kind of cashmere it is. Why is it good value? I sometimes feel like a step outside of the menswear bubble is needed! It’s good value because you’re getting a lot of high-quality raw material and quality of making for your money. Value doesn’t necessarily have any connection to how expensive it is. You could pay a lot less than this for a piece from Ted Baker and it would be a lot less value for money. Whether that particular value in a more expensive garment is something you want to pay for is of course up to you. I‘ve found Stetson‘s Hatteras model to be fair value. It also comes in a wide range of fabrics and colours. My go-to cap for years now. Osaku’s Trousers are just boring. They’re classically Japanese — let’s do something extremely well but go out of our way to hide it behind a drab facade. Give me Igarashi’s flashy styles any day, even if not nearly as well made. Question on the Mr. P offering. Every image I see of it, the fit looks boxy and oversized. Is this just horrible styling or the actual design? That first photograph was taken in front of the Palmenhaus in Vienna, if I’m not mistaken. Glad to have you in town! Your comment about Mr Porter is interesting . It has shifted heavily towards ‘fashion’ but it’s still one of the few ways I guess people can access brands such as Incotex , Caruso, Boglioli etc. Hey Simon have you tried brycelands rayon shirts and what are your thoughts about rayon as a summer fabric? Simon, did you have a chance to look at the lambswool rollnecks Drake’s have in their fall collection? I’m tempted to get the cream and navy ones. Would I be better off getting just the one from PW? 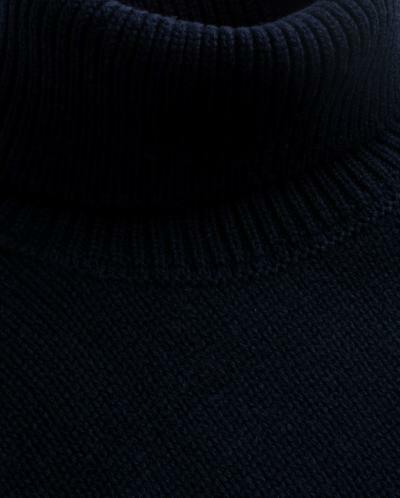 Consider also the geelong rollnecks from Cordings. Much, much softer than regular lambswool and I don’t think they can be beat for £130 each. I have the navy, tartan green and cream. Any thoughts on the Uniqlo U line designed by Christian Lemaire? I’ve also been tempted by that Brycelands western shirt. What size did you go with? Thanks Simon. In the recent months I have noticed a peculiar trend in business dress. I have witnessed a lot of men who have started to only Hutton the bottom button of their single breasted two button jacket. From afar it looks as if it is a “Huntsman” one-button silhouette, but when you come closer it looks dreadful (in my opinion). Could you help me understand this trend that I have now payed attention to? It’s bizarre isn’t it? It’s not recent though – it was one of the first posts I ever wrote, 11 years ago! 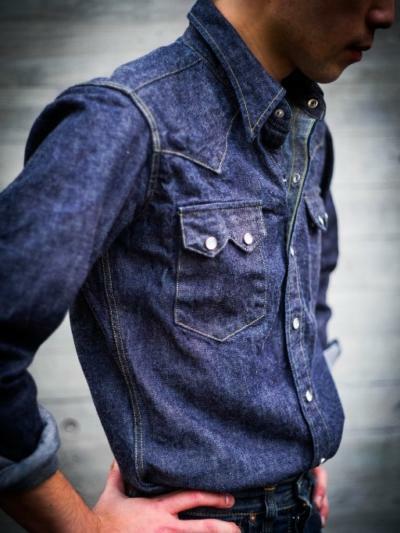 Would you have made something similar to Bryceland’s Sawtooth Westerner shirt bespoke ? If so by whom ? Hi Simon! As usual this is a very nice piece. 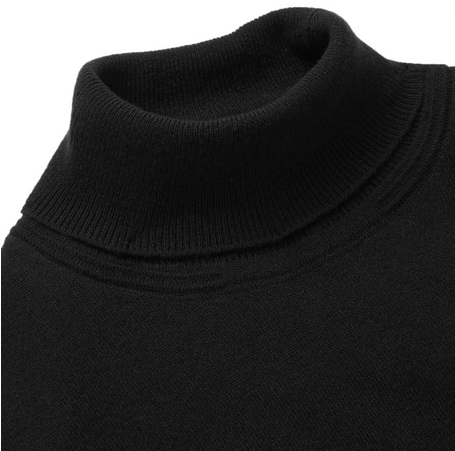 Apart from the PWVC roll neck, do you have any recommendation on a roll neck that works under tailoring? Luca Faloni introduced nice ones this season, as usual in conservative colors and made of cashmere. Worth to have a look. I see the duffle appear once more in your selections. Have you ever considered or come across worthy loden coat-makers? Nice curation Simon. Someone raised the issue of value (Locke hat) it’s worthy of more thought (an article?). Die Workwear ran a recent article on cashmere and the difference between low and high grade. The issue, relating to Private White’s piece, is that the brand provides no detail or context for the item – what grade is the cashmere other than ‘Scottish’ – why does it cost more than say a similar John Lewis Italian long fibre cashmere piece at £90. Buyers, without such detail might therefore find the high and low of the market as analogous. The Mr P merino is in a similar vein; Uniclo comes in at £110 cheaper (extra fine merino) – the apparent difference, apart from exclusivity, is negligible. The issue rests with brands assuming buyers will accept a ‘luxe’ premium without providing the argument for value. The PW item will be better than JL in gauge and thickness but at 300% more? We see the same with the trousers (an eye watering £376 -Incotex comes in at £230 at Matches) and denim shirt (UK GBP£221 – a very similar G-Star item @ £75). One can talk about selectivity of cloth, fineness of cut etc. but all are RTW. Why pay £376 when for £400+ they could be tailored? And thus, under analysis, the mirage of fashion dissipates. The price arguments of the luxe fashion brands are lazily made, a reliance on cachet over communication. The danger, over time, is seeing the fashionable, through its high pricing, as more valuable than the bespoke, impermanent style is then a result. 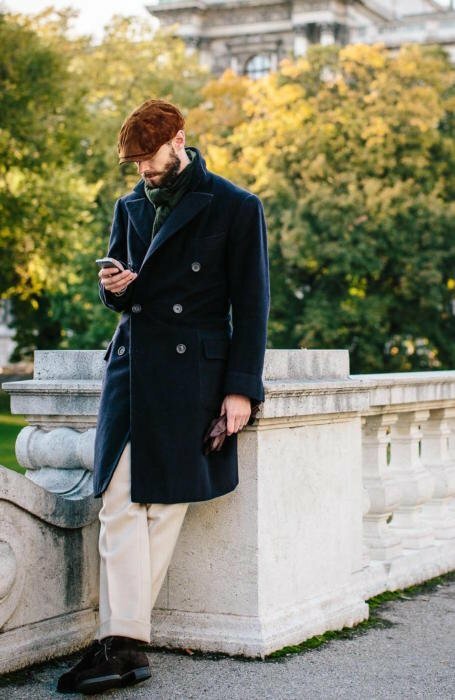 I bought a navy duffle coat from SEH Kelly only weeks ago, and while I have not been able to wear it due to the warm temperatures I have been very impressed with it. My only complaint is that the armholes are preposterously low – even when worn over a jacket – but I have been able to fix that with extra cloth and some needlework. I also have an old Montgomery duffle coat of my father with low armholes. I understand many nautical coats had much room for the big Inverallan sweaters and the thick flannel blouses for heavy layers. That’s why they’re still so wide and deep. Besides the 2 hats you’re offering for consideration in this list, the PS watch cap still comes to mind as the preferred option. Will it return this winter? I’m a bit confused by the PW piece’s pricing. 399 GBP should translate to ~525 USD but when I click through to the website it shows $745 USD instead, more than 41% more. For what is worth, I just paid $565 for the PW roll neck. When will the next best/new suitings and shirtings be out? Those are one of my favorite features. I especially like that they include the book and fabric number if possible. And also a recommendation to do an article on prints and patterns shirts (or even suitings). us on the US west coast are a bit causal and fun some time. Thank you. Excellent, as always. I’m a big fan of what PWVC are doing, and look forward to nipping to their factory again shortly. I always leave with *something* when I go there. 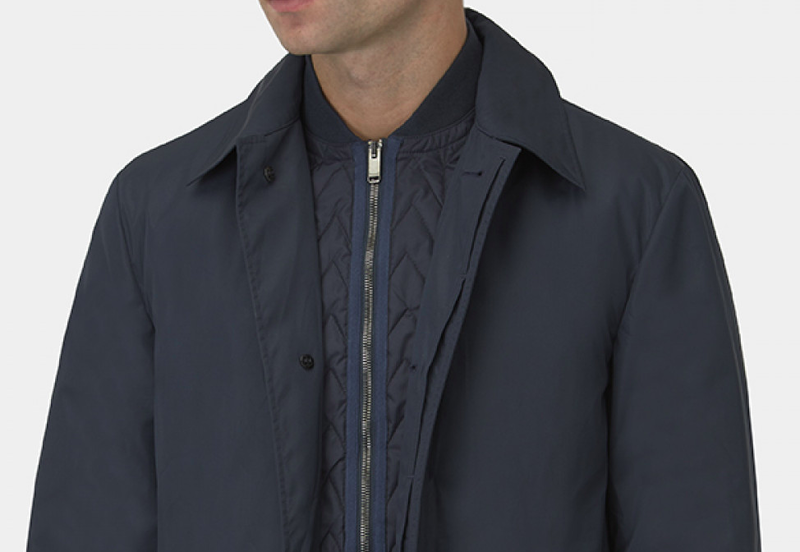 Having bought their outerwear last winter I can say it’s far superior in quality to much more expensive lines from Burberry and quite similar to Crombie. May I ask, what is the green scarf in your pic? Looks like a green ribbed scarf, but I can’t tell. I presume the shoes are the unlined Dovers, is that right? Any idea when the Gieves and Hawkes jacket will hit the website? That style is what I’ve been looking for. The overcoat on the picture? Please give some info. Sorry Rune, I had the wrong post… The perils of replying to comments on an App. The coat is my Cifonelli navy cashmere. Details here. I am particulalry interested in the weight and the question whether it is a proper winter coat for the colder days? Interesting, thanks for above question and reply. Any advice on sizing, i.e. what suze would you be wearing and would you recommend going up a size for 185cm (6’1-6’2) height with a slim build? No, no advice sorry. I haven’t tried multiple sizes or really thought about how and over what I would wear it. do you know the ply number of the cashmere on the PW jumper, Simon? Simon, would you mind sharing what size are you on PW’S roll neck? Thanks very much. Given the similar price points – would you recommend the Mr. P rollneck or the John Smedley ones for wearing under tailoring and and why? Hello Simon, any plans on the Spring Summer 2019 top 10 soon? Simon, just to take note that the title of this article seems to be 2019 instead of 2018? After how many wears should you wash your Bryceland’s Sawtooth Westerner ? I really like Private White and your inclusion of its knitwear is interesting. Have you been pleased with the quality of the cashmere,workmanship and fit? Excellent! Do you know what Scottish company actually makes the Private White knitwear? I’m always fascinated with the differences between Scottish knitwear, English makers like Smedley and N. Peal, and the Italians. Now that would be an interesting piece for you to write, unless you already have and I just missed it. No, but there isn’t that much difference between the Scots really – there might be in consistency, or minimum order, but the product is similar. Smedley is very different as it pretty much only makes fine-gauge stuff. And Peal is a brand not a maker. Hi Simon and thanks for that correction concerning Peal. Peal has gotten a lot of press over the last few years, probably due in large part to the company’s knitwear being worn in the last two James Bond movies. Last year they opened a store in New York for example. Do you have an opinion of the quality of the N. Peal garment? Agreed! Of the firms that you cover, which ones provide both excellent quality knitwear and great design most consistently?